LoA spoke to founder Paulina Alfeus recently in Windhoek to find out more about this unique entrepreneurial venture. At Power Six Investment, we manufacture a range of practical and steel furniture which we produce mainly using recycled oil drums and use other scrap metals. My inspiration came as a result of a lack of employment combined with my passion for decorating, and a fascination with the recycled fabrication process itself. All I wanted was to build a brand of my own that harnessed this passion and create a range of practical products that my country could use. I always wanted to make a business and sell my own products. Our products are all locally made, affordable, colourful, unique, strong and high quality. They take up little space and are easy to transport. Power Six Investment is 100% Namibian owned, 100% youth owned, and the name itself is self explanatory as it represents the number of entrepreneurs who are involved. 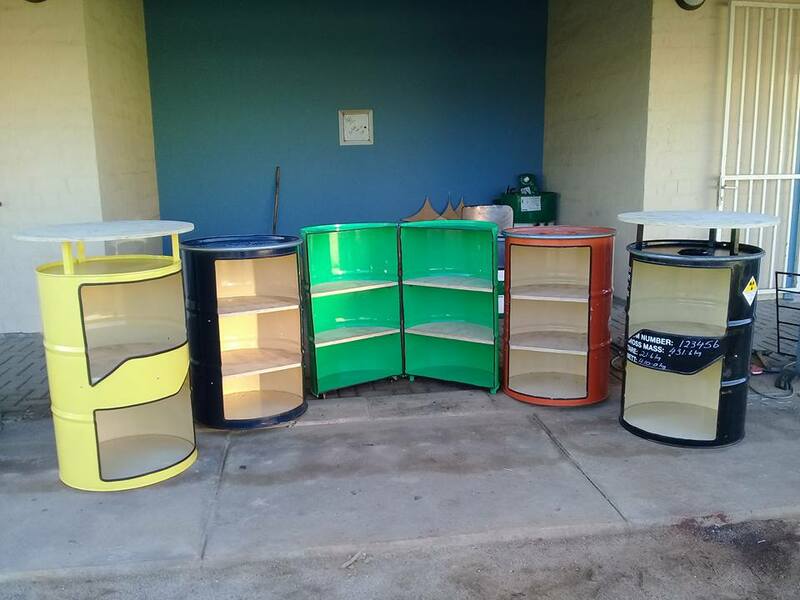 We are a group of six youth who, after we finished with our trade test (graduates) at NIMT, came up with this idea of recycling to create a business. Power Six is owned by six qualified Boilermaker artisans - 3 ladies and 3 guys. Paulina Alfeus is the Managing Director, Hilaria Paulus is the Sales Manager, Asteria Neumbo is the Safety Officer, Julius Ashipembe is the Production Mananger, Jason Vaefeni is the Customer Care Officer and there is also Leonard Neliwa. Above their day to day management duties, they all serve as fabrication technicians since they are all qualified artisans. I think entrepreneurship is just a part of me. I’m not from an entrepreneurial family but I have been doing business since I was young. I paid my own varsity fees with the money I have been making by running a hair salon. I attend a Student Entrepreneurship program in Windhoek, organised by the Empratec of Ghana. We plan to set up our furniture shops countrywide that will sell our furniture produced from our own factory. We plan to sell locally and even abroad if the market permits. The fact that I have created a brand of my own, doing what I like the most. Going to work is like going to play my favourite sport. All I want to tell other women entrepreneurs is don't do what others are doing. Do what you are passionate about, do what you like, something you can enjoy doing and that way money will just show up in the process.